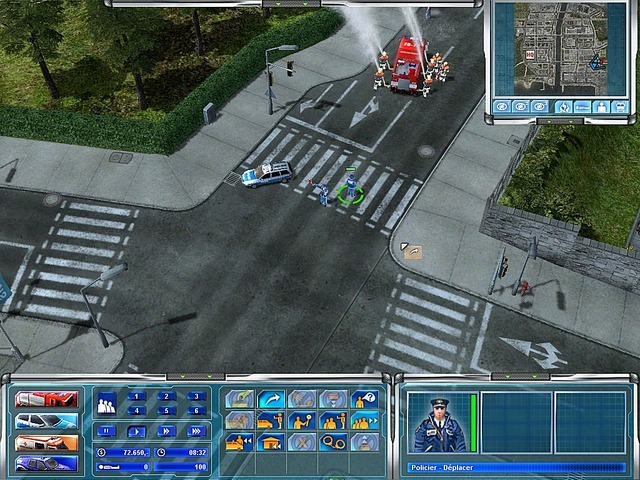 Emergency 4 boasts a rich mix of gripping real-time strategy game and true-to-life simulation. 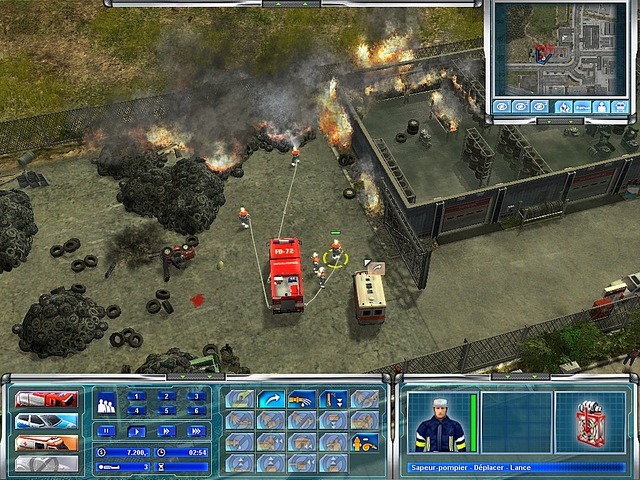 The player becomes head of operations in a fictional rescue and catastrophe management organisation, in command of a number of vehicles and staff from the fire department, medical rescue, police and technical services. For the first time in the history of the Emergency series, all campaign missions are embedded into one continuous game set in a real town with a sheer infinite number of side-operations and tasks, so linking the various missions together. The player has to manage money as well as setting the right pre-requisites for upcoming missions. The player has to react to a variety of events, developing dynamically 24/7, set against a background of continuous day/night changes and constantly varying weather conditions. Another new feature are the spectacular overseas operations in the Antarctic and the near East, which present the player with completely new challenges. 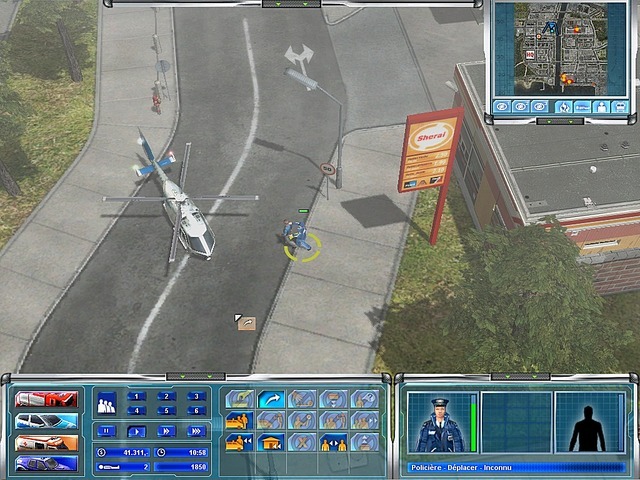 The sheer number and rich variety of the game’s 20 missions represent a new standard for this genre. The scenes range from medical emergencies to road accidents and large-scale fires, and culminate in earthquakes and floods. Whether the job involves rescuing casualties, fighting fires or preventing and resolving acts of terror, or introducing the right emergency processes in a catastrophe (with the help of the virtual supervisor of course) the "Save Lives!" motto is always foremost in the player’s mind. These elements make Emergency 4 different to nearly all other real-time strategy games. The game is also benefited by a multiplayer mode and improved controls. Spectacular overseas operations in the Antarctic and the Middle East. enormous and totally new operational area. Dynamic, realistic and unscripted fire breakouts. flames, as well as changes in time and weather. Original iso by SACRED, Thanks guys! NOTE : Originaly cracked in May 2006 by SACRED in french (NO available in others language ! ), but after "Vivisector - Beast Inside" (Originaly ONLY in GERMAN ! ), RIPFORGAMES [RFG] is back with this new *RIP* now FULLY translated in ENGLISH ! Only movies was removed, others was simply packed ... Enjoy this ! Game rips usually uncompress to a larger size. that's all about UNHARC capabilities .. Right click on the RAR files to extract them (you can select all of them and do it all at once). Run setup.bat. Wait for it to finish, and then play. Cheers 4 this - I used a mod last time to translate it and its a brill game. I lost many many hours playing this But I lost it after a HDD failure and now i have it again!!! I keep trying to download this file but it won't start it takes me to a page that says page can't be displayed can I get some help here? throcky wrote: I keep trying to download this file but it won't start it takes me to a page that says page can't be displayed can I get some help here? look here. you need to Associate eMule with the eDonkey web link format. Is there a mod to translate it to English? rso2288, there is an english version of this game- check the threads for 911 first responders- thats its english title.